A teacher of preschool children who uses puppets in the classroom is one of 13 B.C. recipients of the 2013 Prime Minister’s Awards for Teaching Excellence.Nadia Vassev, who teaches at Urban Academy Junior Kindergarten, was selected as an example of teaching excellence in Early Childhood Education. Vassev teaches three- and four-year-olds. Now in her eighth year at the private school, she started using puppets in her New Westminster classroom because of her background. Before emigrating to Canada, she spent 15 years as a professional puppeteer with Bulgaria’s national puppet theatre. The Digital Initiatives Unit has digitized thousands of rare books and images, and still, in the midst of all these fantastic items, many images stand out and never cease to amaze us. We had not thought of this series of 12 photographs of Igor Stravinsky in a while, and when it was mentioned during a staff meeting a couple of weeks ago, we figured we just had to post it in our blog. There are many photographs of Stravinsky out there, but nothing compares to these ones, where we can see him right in the middle of a rehearsal and we get a glimpse of this astonishing composer in the process of conducting one of his own works. Here he is 80 years old in 1962, nine years before his death. He’s rehearsing the Firebird Suite with the New York Philharmonic at Lewisohn Stadium in New York City. The images were captured by Fred Fehl, a photographer specializing in performance photography and who brought us outstanding images of many other artists as well, like Martha Graham, Mikhail Baryshnikov and Joan Sutherland. When these photographs were taken, long gone were the times when Stravinsky was booed in a public performance: that was back in 1913 and the Parisian theatre had been packed and filled with expectation. Stravinsky’s Rite of Spring had barely begun when the hostile crowds started laughing (the cue for Stravinsky to leave the auditorium and get to the stage wings, from where he watched the rest of the performance). The laughter developed into a full-on attack between factions in the audience and later on towards the orchestra members and the dancers. After the police expelled some of the worst offenders, the performance continued in relative peace. I guess that in this particular performance the Rite of Spring’s “Sacrificial Dance” came earlier, and we all know whom the sacrificed victim was. These photographs show a Stravinsky riding the crest of the wave with one of the best orchestras in the world, and although no one ever forgot what happened during that fateful premiere almost fifty years before, everybody ultimately took the negative reaction as a sign of a true genius who not everyone could understand, one who was so ahead of his time that he aroused rage before stirring gasps of utter astonishment. The series is part of UBC Library Framed Works Collection, which includes exceptional photographs, prints, and documentary artworks, all originating from diverse sources. Congratulations to the latest winners of the 2013 GSS cIRcle Open Scholar Award! The winners were officially presented with their Award at a reception last week. MA student, Christian Brady, comes from the Department of Classical, Near Eastern, and Religious Studies in the Faculty of Arts. He won this Award for his work, “Podcasting Lucan and the Classical World” at: http://hdl.handle.net/2429/45089. His academic interests include Roman Comedy, Greek Tragedy, Gilded Age Politics and current research projects focus on Oracular inquiry in Roman Alexandria and more to name just a few. Two civil engineering students, Sam Bailey and Shona Robinson, also won this Award for their work, “Aesthetic Assessment of Drinking Water at UBC: A Comparison of Waterfillz and Tap Water” at: http://hdl.handle.net/2429/45069. In 2009, Sam Bailey was one of five UBC Engineering students who participated in the Go Global and Applied Science International Service Learning Program. Since 2012, Shona Robinson has been undertaking her PhD research in ‘studying the consequences of membranes’ age on their characteristics and performance in drinking water treatment’. 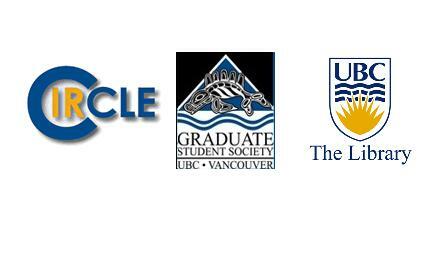 Learn more about this Award such as what types of work are eligible for submission and about previous Award winners at: http://circle.sites.olt.ubc.ca/gss-graduate-student-society-open-scholar-award/. One new arrival to the GSS cIRcle Open Scholar Award collection is a short video about the copies of Alice’s Adventures in Wonderland and other works by Lewis Carroll. It is entitled, “Alice 100 Collection at UBC” and is found at: http://hdl.handle.net/2429/45529. Browse the growing GSS cIRcle Open Scholar Award collection to discover other hidden treasures at: https://circle.ubc.ca/handle/2429/42591. 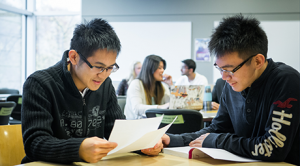 The Irving K. Barber Learning Centre’s open study areas will be open 24 hours a day from Sunday, December 1 (opening at 6 a.m.) to Wednesday, December 18 (closing at 1 a.m.) to accommodate students during the December exam season. Please note that this opening DOES NOT include: level one, the Chapman Learning Commons, Library bookstacks or Ike’s Cafe. During the 24/7 opening period, regular cleaning of study spaces will continue. The computer workstations on level two will remain open. Not sure where to go on campus? Travelling late at night? Afraid of going alone? Contact Safewalk, a free service that provides a co-ed team to take you anywhere you need to go on campus. Don’t walk alone - add Safewalk to your phone: 604-822-5355.